Here’s our handy guide on how to decorate their rooms, from the nursery to the big kids’ space with a few simple accessories. We’re good to you, right? Ahh cushions, they’re a sneaky way to change up the look of a room in a jiffy. And they’re not only great for style. Pick wisely and they’ll double up as a learning piece or as a cuddle buddy too. 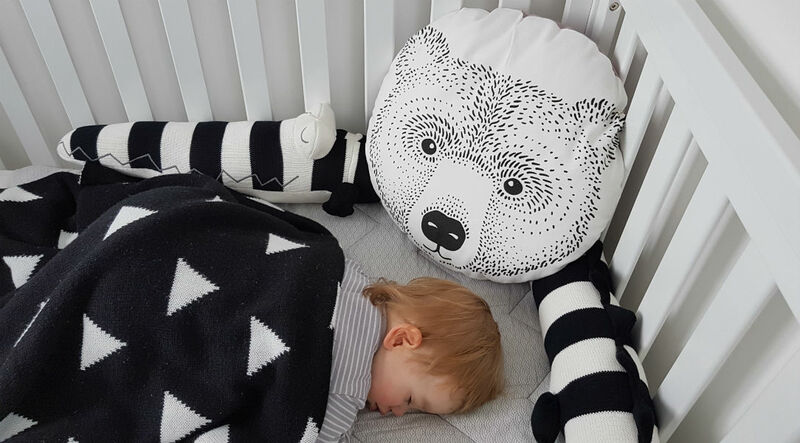 A black and white design with bold graphics is perfect for helping to develop babies' visual skills and soothing them when it’s time to move into their own room. Shop our range of characterful cushions here #winning. As they hit the 18 months to 2.5 years stage and becoming more aware, you’ll probably want to start adding more colour to their sleeping space and cushions that doubles up as a cuddle buddies are great too. We love the range of fun animal cushions by OYOY. Stylish for a room, cuddly for them, it’s a no-brainer. Whoop! Gone are days when you had to get the wallpaper table out to add some character to their rooms. And we’ve got wall decor to thank for that. Never heard of it? Here’s the short and sweet explanation. These are vinyl pieces of kit that are easy to stick on a wall and then, when you’re done with them, simply peel them off. Some are also reusable meaning that if you don’t want to use them in the nursery anymore, you can place them somewhere else. Decorating their first nursery? Dial up the black and white theme by adding these Tresxics White Cloud Wall Stickers. In a pack of 20, you can place them on one wall to create a feature, or dot them around to create an all-over theme. When they outgrow it, just peel them off. Tresxics White Cloud Wall Stickers, £26 . Got an older kid and want to make a statement? There’s wall stickers to give you a hand. This Chispum Entrance to the World of Fantasy is a great way to add style and help develop their imaginations. In a whimsical door design, and with 'Entrance to the World of Fantasy,' etched in italics, it’s great for placing just above the nursery floor. Just add toys for an alternative way to get their creative minds working. Awesome. And they're also great for adding a ‘grown up’ feel when it’s time switch from the cot to a toddler bed. After-all a big milestone like this deserves a makeover! 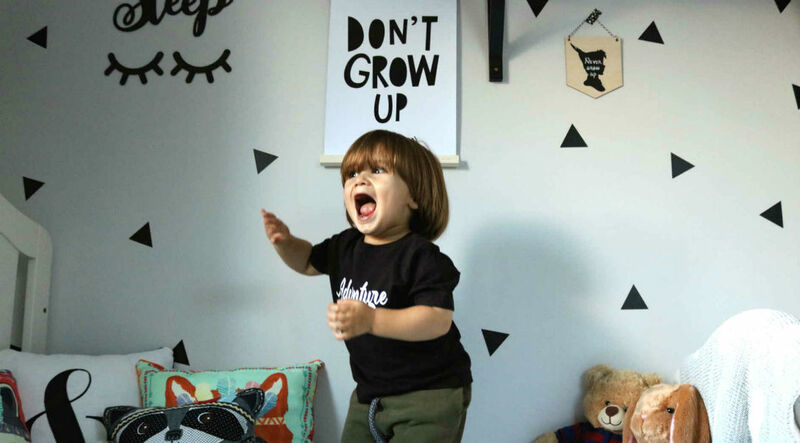 Keep your style, while making them feel like a big kid with this Mini Learners Don't Grow Up Poster. With bold graphics and monochrome style, it’ll fit any decor. Mini Learners Don't Grow Up Poster, £15. Who said hooks had to be boring? Not anymore. In fact we’d go as far as saying that they could add some great style to their rooms. 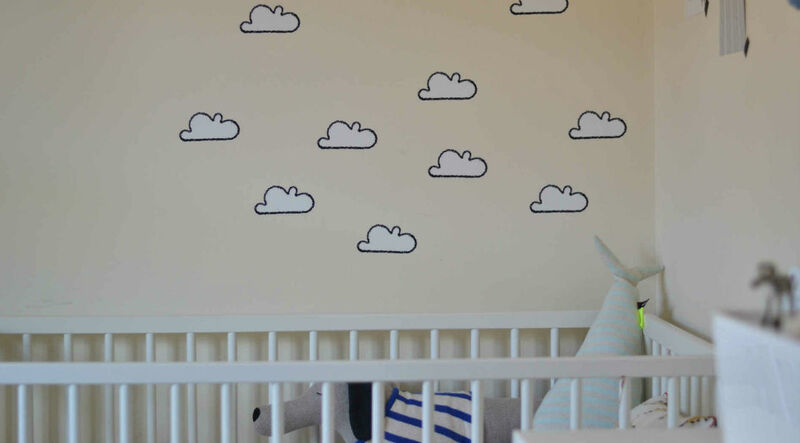 This Tresxics Cloud Hooks & Raindrop Wall Stickers Set is a great example. 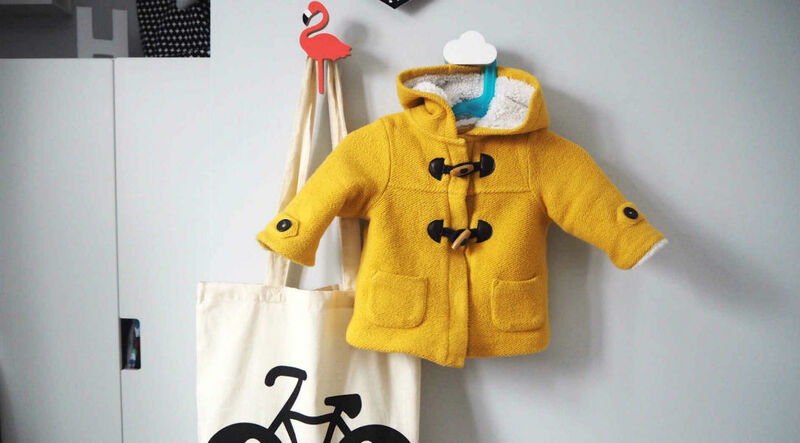 Not only is it ideal for keeping accessories or coats organised, the two small clouds with a single hook each, make it a stylish piece of kit. Just add the wall stickers to make it your own. Knobbly Cloud Wall Hook, £12. Every room needs a rug. Not only are they great for finishing off the whole look, but can also stop them from slipping when they’re charging around on wooden floors. Just don’t forget to add the non-slip backing. Want style that lasts? This Minene Kids’ Rug is your, er, rug. In a range of gorgeous simple prints, it's perfect for showing off. Super soft, it’s also perfect to play on, or for using as part of a little reading corner. 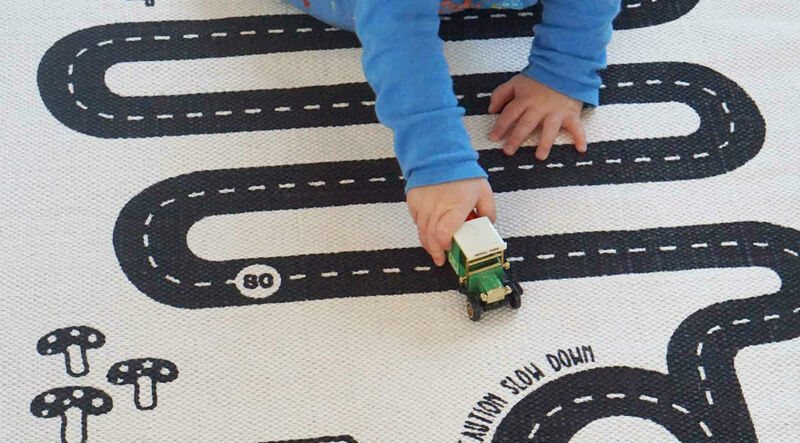 Alternatively, encourage pretend play while staying stylish with this OYOY Adventure Mat. It's printed with long winding roads for imaginative play - all you need to do is add the cars. Perfect.